Our passion is making Amazing Smiles! Affordable Dental Payment Plans allow you the financial opportunity to be proud and confident in your smile. Are you looking at straightening your teeth with braces or Invisalign? Do you have missing teeth and need replacements? 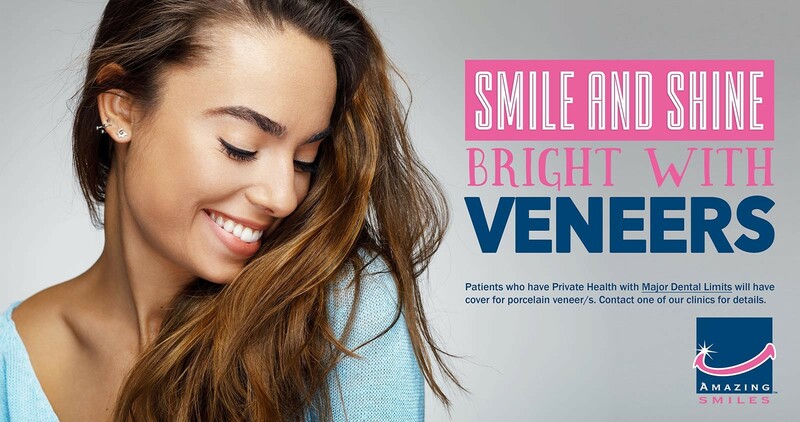 Have you thought of Veneers to achieve that perfect smile? We know that a bright and healthy smile can transform your confidence. For this reason, Amazing Smiles have partnered with payment solution providers ZipMoney and Denticare. Above all they are interest free. Please contact your nearest Amazing Smiles clinic for more information regarding our Dental Payment Plans options. Weekly direct debit amounts vary between patients and are subject to duration of payment period. As a result of each patients teeth and requirements being individually unique quotes differ. Therefore we provide FREE Initial Consultations for Quotes relating to major cosmetic dental services. Given these points, if you’re unsure as to what services qualify for a free consultation quote, simply contact your local Amazing Smiles dentistry. We have clinics located on the Gold Coast, Logan, Jimboomba, Wynumm, Bray Park.